As the holiday season approaches, preparation is key to a successful shipping process. The more prepared you are to handle a flood of orders, the happier your customers will be, whether they are buying online or in the store. It’s never too early to start thinking about your shipping plans, and chances are you are in planning mode right now. For the unprepared retailer, higher order volumes during the holidays can quickly spiral out of control. If you haven’t built a solid plan, lined up extra staff, bought additional packaging, or established relationships with the right carriers, then partners and customers can be left frustrated with delays or damaged goods. And you risk losing valuable repeat business and damaging your word of mouth during the most critical time of the year. That’s not exactly the impression you want to leave during the holidays, when you have the best chance to generate loyalty with great experiences. If we learned anything from last year, a player like Amazon can change the holiday schedule in a flash and impact you when you least expect it, so taking the time to perfect your process before Halloween will serve you well. At Pacejet, we want to make sure companies remember that the space between the shipping dock and the customer determines your success. Read on to see our holiday shipping health check to help you get your shipping operations in order this holiday season, hopefully avoiding potential pitfalls along the way. Early on, you should start thinking about preparation in basic terms. How many more staff members will you need to fulfill orders based on your projections over the holidays? What kinds of roles will you need and how long will you need them? Consider your inventory list – look at your most popular items and be sure you have enough stock available to cater for rising demand. And if you're a toy supplier, be extra careful. With more orders to fulfill, check you have sufficient packaging on hand, including boxes of various sizes, labels, tape, filler, etc. If you need extra work stations or printers installed, contact your shipping partner now (if you use Pacejet, reach out to help@pacejet.com). The holiday season will be a demanding time on both you and your carriers. And although orders will be flying in, your customers will still expect efficient delivery. Check with your current carriers to ensure they have multiple shipping options available or make sure you have a diversified carrier plan that covers what might be needed. Customers should be able to choose from various delivery dates, and each selection should be cost-effective. With this in mind, making the right carrier choice is essential to your success this season. Your carriers need to not only be reliable and efficient, they should be low-cost and sensitive to your profit margins. A new element that can impact this comes in the form of holiday surcharges, like those announced from UPS. Make sure you are aware of any new seasonal fees that could surprise you and your customers. Beyond fees, you also have to keep in mind additional services you might need, that especially come in handy during the holidays, such as white glove and lift gate. With so many variables in play effecting your shipping, it makes sense now more than ever to put real-time rate shopping to work. By utilizing rate shopping within Pacejet and saving up to 20% on your rates, you can pass part of these savings on to your customers and offset seasonal rate hikes. We meet a lot of customers who start out with one or two carriers, and don't realize the savings available to them until they turn on rate shopping in Pacejet. Have a look at our extensive list of carriers to find the best carrier for your expected volume, area, and budget this holiday season. If you aren't sure or would like a personal consultation on how you can use Pacejet and establish a carrier portfolio, contact us for help. Be sure to check that your carriers also have adequate holiday shipping plans in place. You’ll want to know they’re taking measures to secure additional employee shifts if needed, and are able to fulfill parcel or freight processing. You’ll also want to be very clear on delivery cut-off dates so customers receive their orders in time for the holidays. And, crucially if you are an ecommerce company, ensure this information is clear on your website to avoid disappointing customers. If packages are damaged, lost, or stolen in transit, you’ll no doubt want peace of mind knowing your shipments are covered by insurance. Although most reputable carriers take the utmost care with their clients’ packages, some circumstances are simply beyond their control. Without insurance, the cost of replacing those damaged or lost products can quickly eat into your holiday profits. If you already have package insurance, check your policy to ensure you’re sufficiently covered during the holiday period. If you don’t have insurance, it’s not too late to get protection. Keeping your partners and customers informed when their shipments are in transit is a must. As we said at the start, the space between the shipping dock and the customer defines your success. When choosing a carrier, confirm they have tracking capabilities that follow the shipment. If any issues occur, your partner or customer will want to know there is support on hand to help them. If you can, provide a live customer support team to deal with shipping inquiries as they arise. If you can't handle this as part of your process, make sure to communicate support information on your shipping confirmation, packing slip, and website. If you haven’t done so already, now’s the time to review and streamline your workflows and operations where possible. Consider how you and your team spend your days and write down any areas that you find frustrating or time-consuming. Any inefficiencies will be exposed through this process. You may find your current pick, pack, and ship process is taking over most of your day due to lack of automation or systems that no longer work for your business. 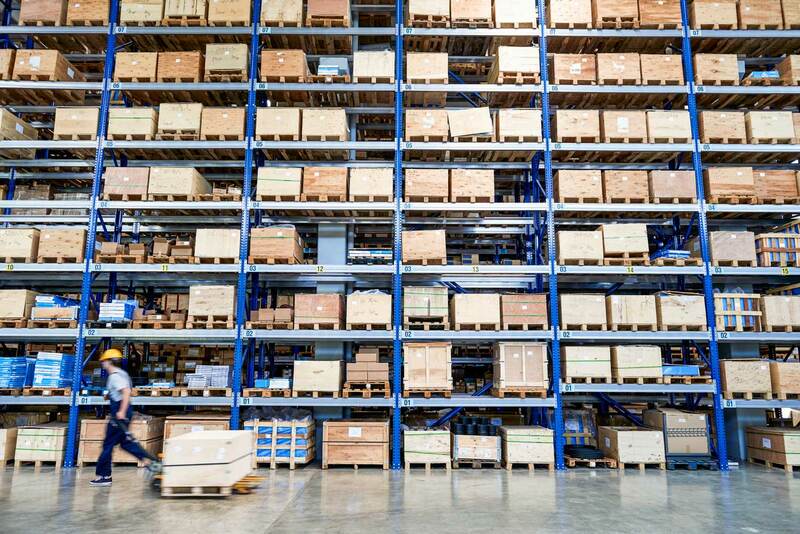 If you are still working with a manual system, you should think about how shipping automation and batch processing can help you simplify these tasks. Here at Pacejet, our Enterprise Shipping Software connects businesses with a vast range of carriers to fulfill many different shipping requirements. We work with companies shipping heavy equipment, luxury furniture, sports equipment, rare coins, musical instruments, and everything in between. Companies love Pacejet because our variety of tools are designed to simplify packing while leaving fewer errors through our scan-pack verify, auto packing, drag-and-drop packing, and scale integration facilities. We work with our customers during the holidays and year-round to make sure they are optimizing shipping operations to get the right shipments to the right places more quickly, easily, and cost effectively than ever before. If you aren't satisfied with your current shipping process, or want to learn how you can use Pacejet more effectively, contact us today and we'll connect you with a consultant focused on your success.